This is a travel guide in visiting Iligan City also known as the city of Majestic Waterfalls. Here, you’ll find out what are the Things to Do in Iligan, Hotels in Iligan, Where to Eat in Iligan and Basic Phrases to get you started. How to get to Iligan City? The nearest airport to Iligan City is the Laguindingan Airport. Flight time from Manila to Laguindingan Airport is approximately one hour and 20 minutes. There are also flights to and from Metro Davao and Metro Cebu. From Laguindingan Airport, get a taxi (to take you direct to Iligan), or get a taxi to drop you off at Laguindingan Terminal (Northern Mindanao). At Laguindingan Bus Terminal you can find buses going to Iligan. Travel time from Laguindinan to Iligan is approximately one hour. There are also boats to and from Manila and Cebu that goes to Cagayan de Oro City. From CDO, you can either take a taxi or a bus going to Iligan City. There are quite a lot of hotels or hostels to stay in Iligan. Most of them just offer pretty basic accommodation for travelers to to stay while roaming around the city. Below are list of Iligan Hotels that you might consider on your next visit to Iligan City. Recommended hotels to stay in Iligan City. Please click the name of the hotel below to check the rates and availability. There are a lot of things to do and places to visit in Iligan City. The most popular is labeled as the tourism triangle which include a visit to Maria Cristina Falls, Tinago Falls and Mimbalot Falls. Aside from these three waterfalls, I have also listed several others which are equally interesting. Maria Cristina Falls is the landmark of Iligan City. 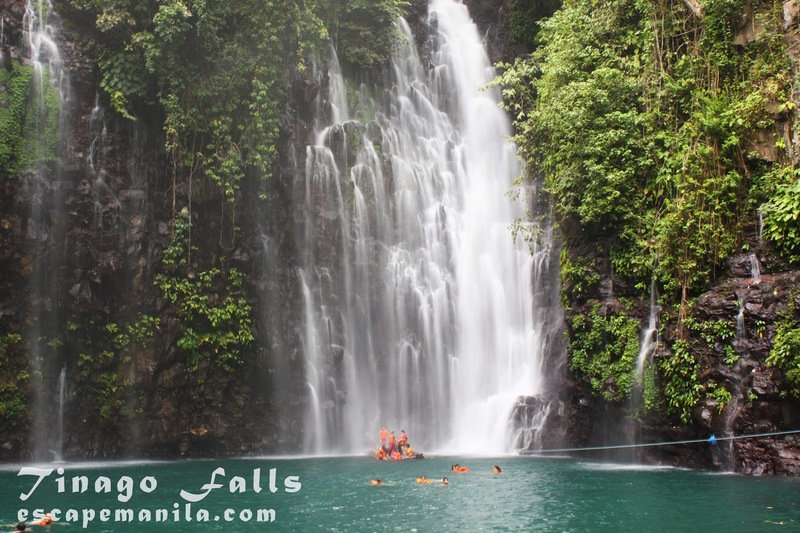 The falls is located about 10 kilometers away from Iligan City proper. Its waters which come from Lake Lanao plunges into the Agus River. 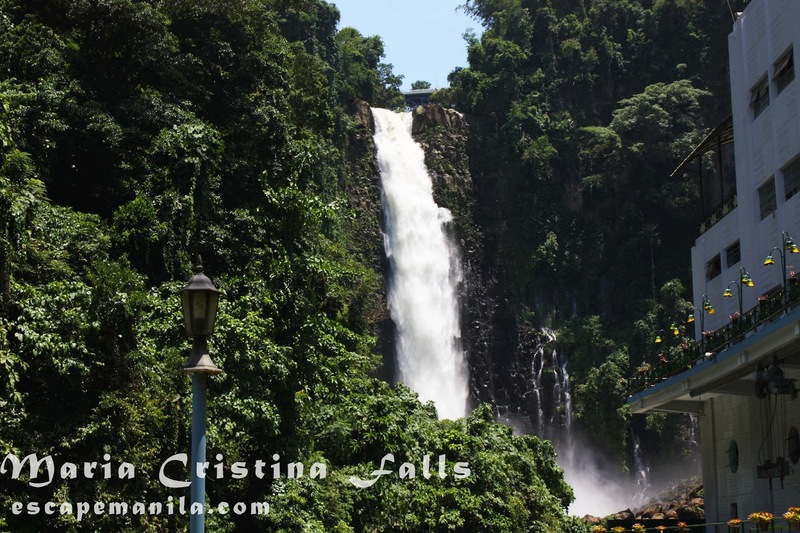 How to go to Maria Cristina Falls? Take a Buru-un bound jeep and ask to be dropped off at the bridge near the NPC entrance. Just tell the driver that you are going to visit Maria Cristina Falls and he will surely drop you at the right place. Fare is P12 and travel time is around 15-20 minutes. Entrance Fee to the NPC Park is P35 and a shuttle fee of P10 if you do not have a vehicle. Tinago Falls is one of the most visited waterfalls and the most enchanting of the 23 waterfalls in Iligan. Tinago which means hidden in English best describes its location. 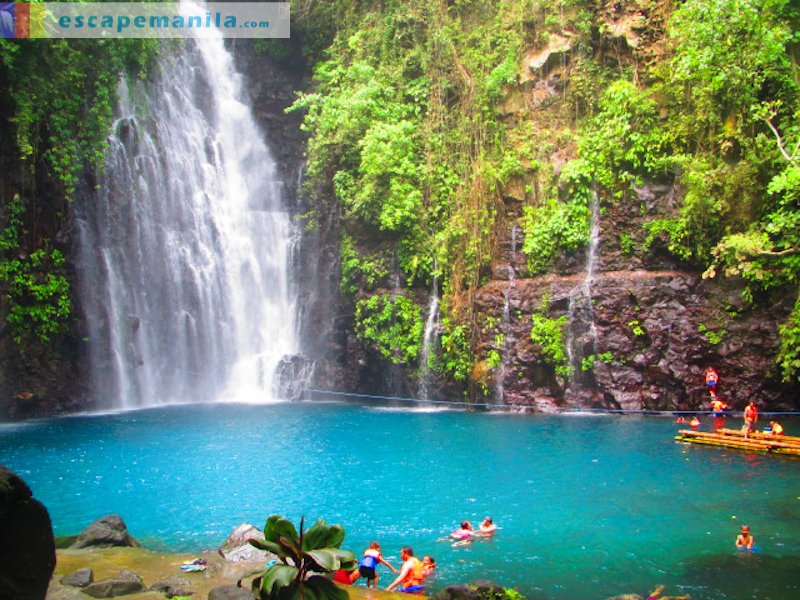 How to go to Tinago Falls? From the city proper, take a Buru-un route jeepney which will pass by Maria Cristina Falls. Ask the jeepney driver to drop you at the Buruun Market as it will be the jump-off point going to Tinago. Fare for the jeepney is P14. From the highway, cross the road and you’ll find the habal-habal terminal just a few meters away. Ask the driver to bring you to Tinago. The habal habal driver asked me to pay P50 (one-way) since I was alone. 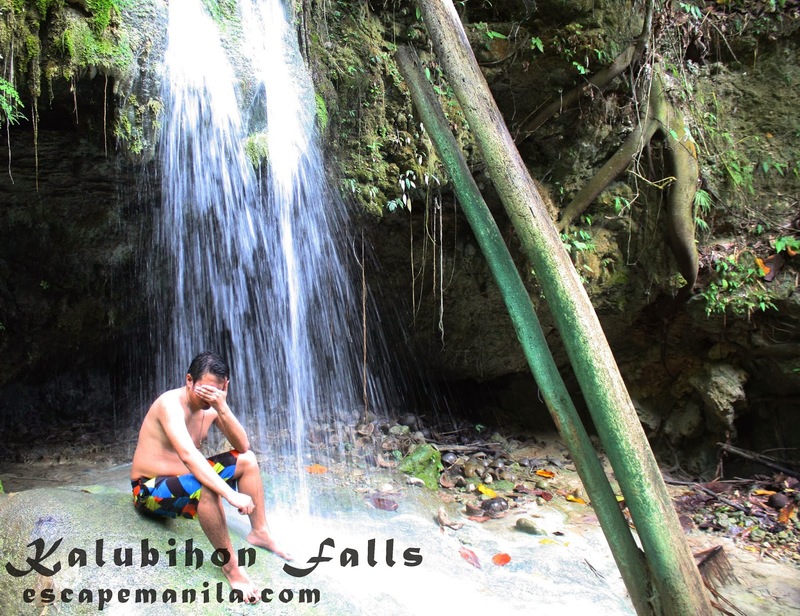 Mimbalot Falls is one of Iligan’s Tourism Triangle along with Maria Cristina Falls and Tinago Falls. It is surrounded by green trees and rocks making it more appealing. 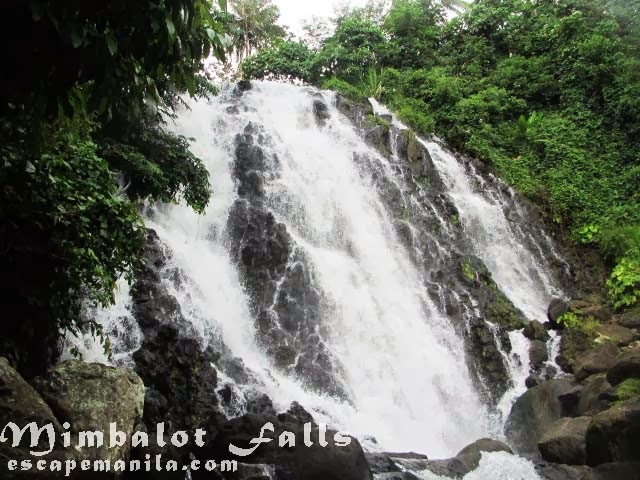 How to get to Mimbalot Falls? Mimbalot Falls is very accessible from the main road. You may take a jeepney from Iligan City going to Barangay Buru-un. Fare is around P14. Ask the jeepney driver to drop you at the Miguel Canoy Memorial School. Cross the road and walk for around 10 minutes to reach the waterfalls. You may also opt to rent a habal-habal to bring you to the waterfalls but I tell you it’s unnecessary. 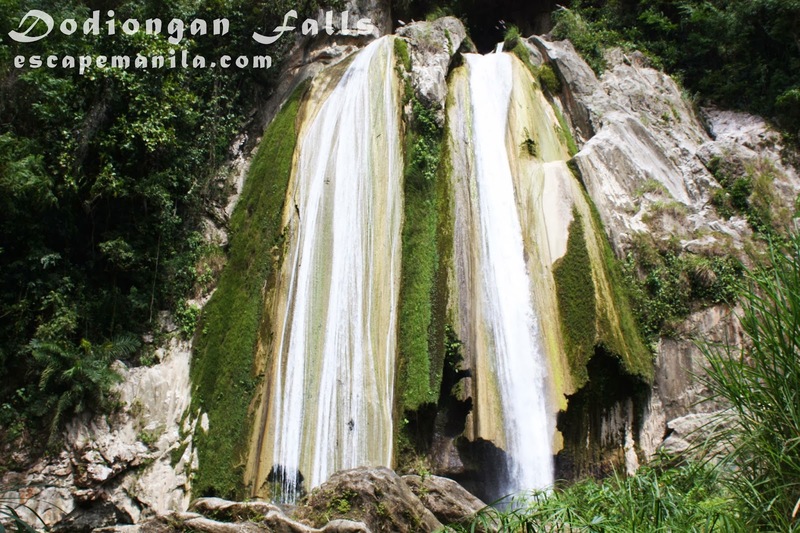 Located about 14 kilometers away from the city proper, Dodiongan Falls is a 24 feet high waterfall situated in Brgy. Bonbonon, Iligan City. How to get to Dodiongan Falls? From Iligan City proper, take a jeepney to Barinaut Terminal (P7.50). Travel time is around 10 minutes. From there take a habal-habal to Dodiongan Falls jump off point which will take you around 30 minutes and fare is around P30-40/head. From the jump-off point, just follow the stream and after about 20-30 minutes, you’ll be able to enjoy the beauty of Dodiongan Falls. 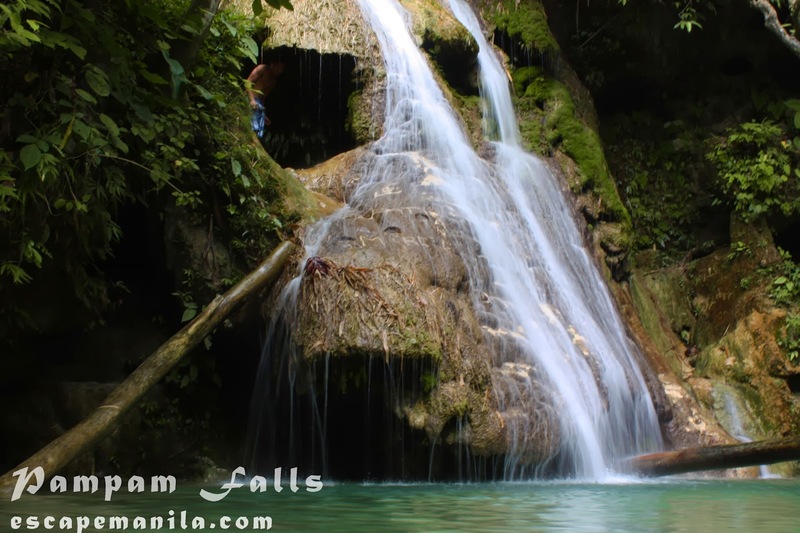 Pampam Falls, one of the more than 20 waterfalls in Iligan is located in Barangay Dalipuga, Iligan City. It is about 13 kilometers away from the city proper and about 20 minutes from the jump-off point in the barangay proper to the waterfall. It is one of the most accessible waterfalls in the city. How to get to Pampam Falls? Take a Dalipuga bound jeepney from the city proper, travel time is around 15-20 minutes. Ask the driver to drop you at the Kalubihon intersection in Brgy. Dalipuga. From there take a habal-habal going to Kalunihon Elementary School, travel time is around 10 minutes. Ask the locals for direction or hire a guide if you are uncertain. How to go to Kalubihon Falls? From the city proper, take a Kalubihon bound jeepney or a Dalipuga bound jeepney and stop at Kalubihon intersection. Since the former option is infrequent, some people would prefer the latter. Travel time is around 20 minutes. If you are taking the second option, take a habal-habal going to Kalubihon proper and alight at Kalubihon Elementary School. Travel time is another 10-20 minutes. From the jump-off point, ask the locals for direction or hire a guide to accompany you to the falls. Dalipuga Falls is one of the most accessible waterfalls in Iligan City. It is about 13 km away from city proper to the jump off point. It is just a few minutes trek from the jump off point to the waterfall. There is nothing much special in this waterfall. It’s small and the basin is not that enticing to swim. 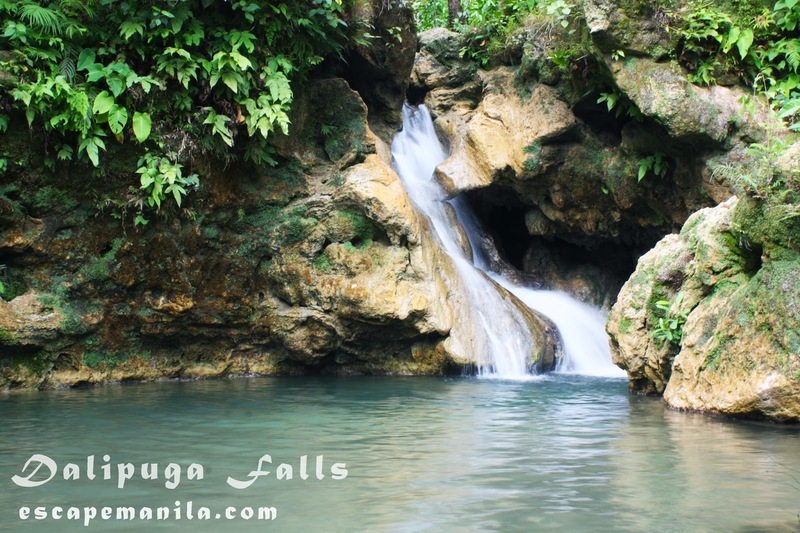 How to go to Dalipuga Falls? From Iligan City proper, take a jeepney bound to Dalipuga. Tell the driver to drop you at the Brgy. Hall of Dalipuga. From there, take a padyak to the jump off point and ask around of the way leading to the waterfall. If you are not good in directions, you can ask around to accompany you for a fee. 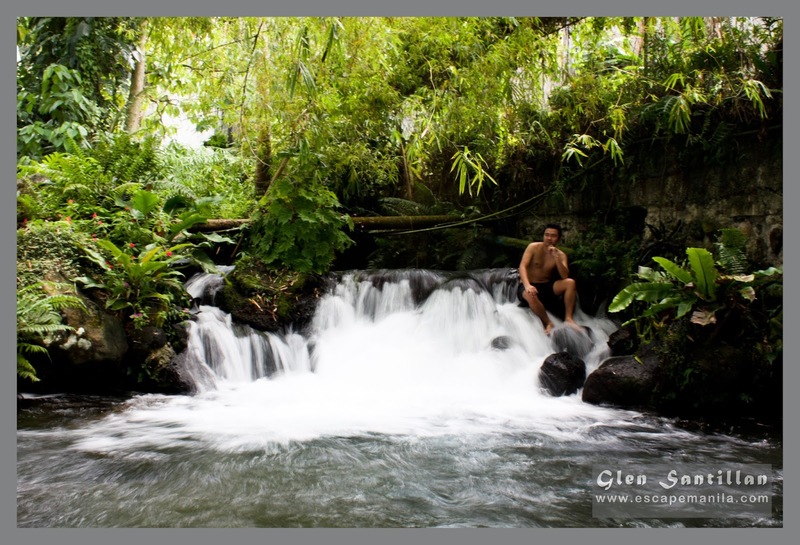 Timoga Spring Pools are among the most visited tourist attractions in Iligan City. You can enjoy the refreshing fresh water of Lake Lanao at Timoga Spring Pools. How to get to Timoga Spring Pools? You may take a jeepney from Iligan City going to Barangay Buru-un. Ask the jeepney driver to drop you at Timoga Spring Pools. It is just along the national highway. You can then choose from different pools where you want to swim and have fun. 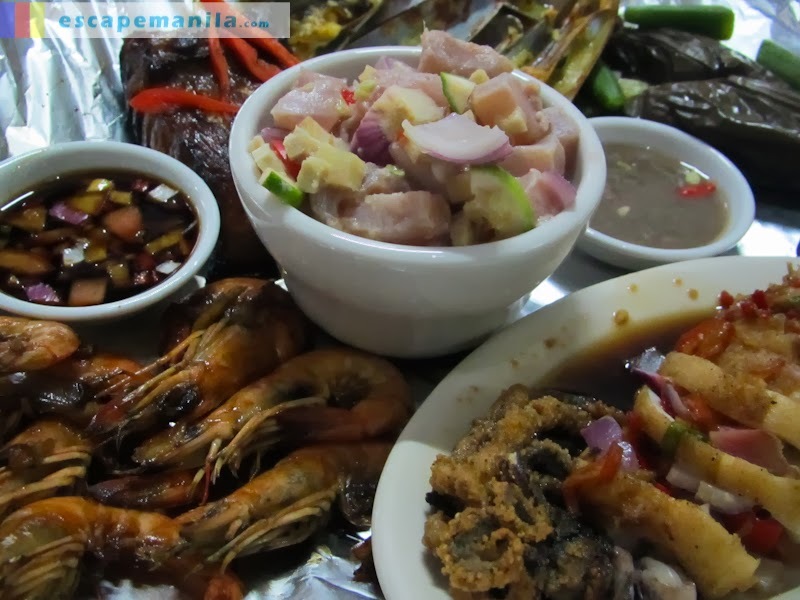 There are several restaurants in Iligan City which offer different type of dishes to satisfy one’s gastronomic cravings. Below are some of recommended restaurants in Iligan you can try when you visit the city of majestic waterfalls. Jacko’s Kan-anan is a mid-range restaurant in Iligan City. It offers affordable and delicious Filipino cuisines that will surely suit your budget. When visiting Jacko’s, you must try their seafood platter to share with friends or family. If you are alone or in a really tight budget, you may try their crispy squid. Definitely worth your hard-earned money.